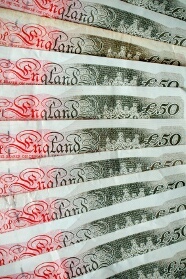 The Great Britain pound preserved at the beginning of the Thursday’s trading session gains it has achieved on Wednesday. The currency’s good performance was a result of largely positive domestic macroeconomic data and the hopeful outlook for the Brexit. The UK Office for National Statistics reported that gross domestic product rose 0.2% in February from the previous month. While it was a slower rate of growth than 0.5% registered in January, it was in line with expectations, and markets welcomed that. Manufacturing production climbed 0.9% in February, far more than analysts had predicted — 0.2%. Released separately overnight, the House Price Balance reported by the Royal Institution of Chartered Surveyors improved to -24% in March, up from -27% in February, instead of falling to -30%. It was still a bad figure, and the report explained that the housing market remained subdued largely due to concerns associated with Brexit. Talking about the Brexit, the extension expires on April 12, but investors are pretty certain that the deadline will be extended further. Basically nobody wants a no-deal Brexit, and that means that politicians in Great Britain and the European Union will likely postpone the separation of the United Kingdom from the EU until a trade deal will be in reach. GBP/USD traded at 1.3095 as of 23:47 GMT today after opening at 1.3051 and reaching the daily high of 1.3122 on Wednesday. EUR/GBP declined from 0.8627 to 0.8611. GBP/JPY inched up from 145.04 to 145.31, while its daily maximum was at 145.92.